This blog documents my developing work as part of an RSA residency for Scotland award 2011. 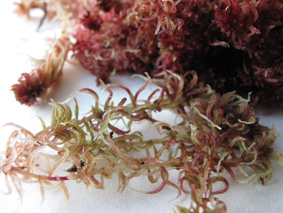 For this I have been researching Sphagnum skyense moss, only found on Skye and traveling to Edinburgh printmakers to learn screenprinting. 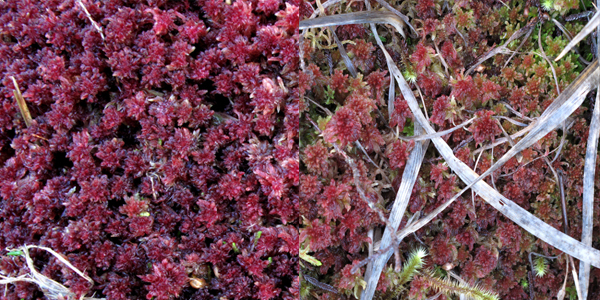 I intend to make a series of screenprints which relate to sphagnum. It rains, it rains quite a lot, we often just have damp air, grey and laden with moisture. 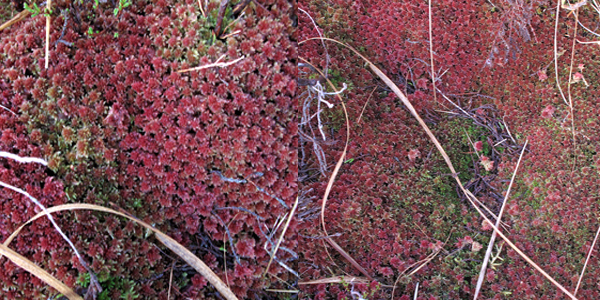 This is the ideal habitat for the mosses that live in Scotland, especially on the west coast. 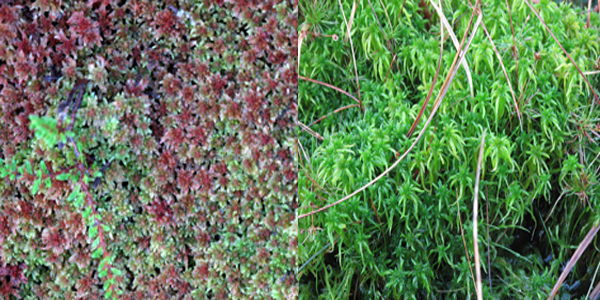 Scotland is known worldwide for the mosses and bryophites that flourish here. On a grey windy dark day you can look amongst the heather and discover carpets of bright greens, yellows and reds, these belong to the many different species of Sphagna we have in Scotland (34). Often the differences between species can only be seen up close, with a hand lens or even under the microscope. For me I am interested in noticing the general feel and different appearances in the landscape for the different species, but it is also interesting to see the changes during the year with a specific plant. When there is no water the plant dries up becoming white or pale green and just waits for the rain. Some sphagna hold 90% water! There is a whole mini ecosystem of single celled organisms, plants and animals which live only on the surface of and inside the waterlogged cells of Sphagna. www.carolinedear.co.uk Artist living and working on the Isle of Skye, Scotland. I work with the land and the plants around me. I am interested in making work which questions our ever changing relationship with the natural world. ©caroline dear. Awesome Inc. theme. Powered by Blogger.